I took a quick glance, and did not see another post about this. 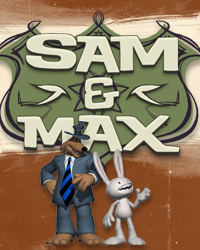 So, my question is, which Sam & Max merchandise do you own? Below, is my rather long list. 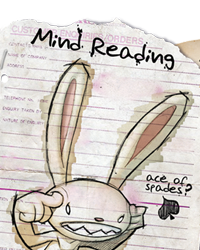 I have just about everything that Telltale has offered, except for a poster or two, one of the hats, and a T-Shirt. 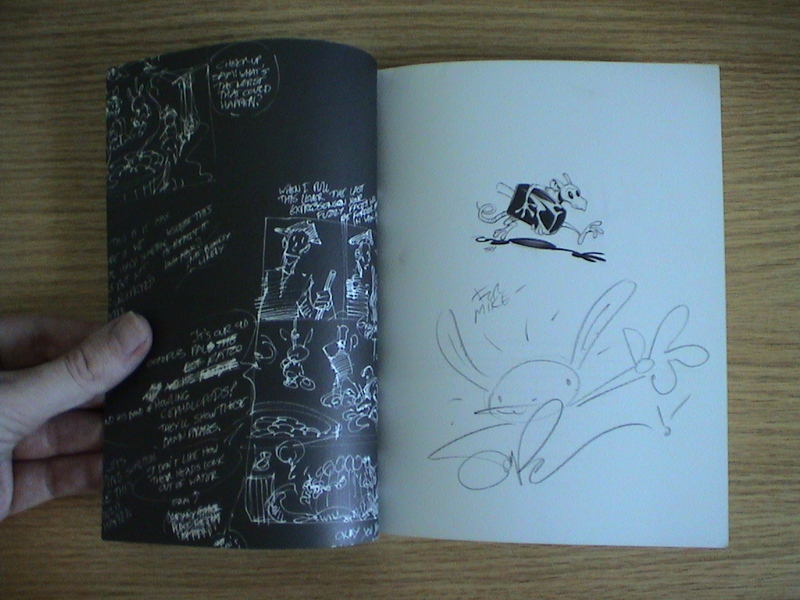 I felt inspired to compile this list after thinking back on all of the stuff that I have had Steve Purcell sign thus far. I am anxious to add the plushies to my collection, too. I took a quick glance, and did not see another post about this. 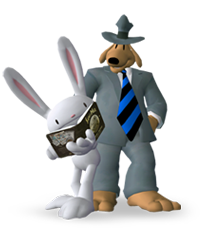 So, my question is, which Sam & Max merchandise do you own? Below, is my rather long list. 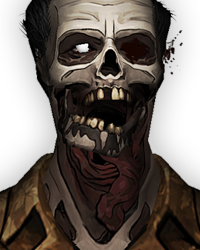 I have just about everything that Telltale has offered, except for a poster or two, one of the hats, and a T-Shirt. I just have both seasons for download. I'm still waiting for the DVDs and the Limited Hardcover Edition to arrive to my house, though..., Has somebody any experience with Shippings to South America? Wow wish I had all of that. 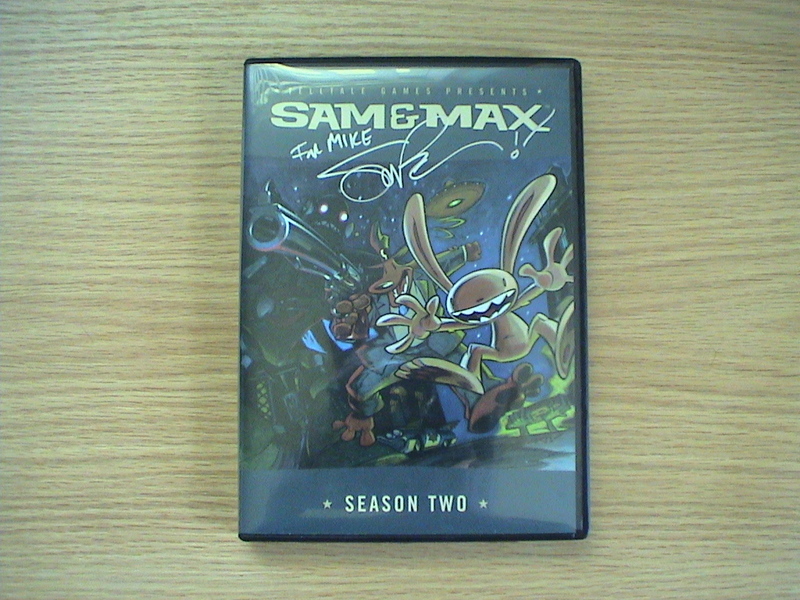 I just ordered the Season1 & 2 DVD with the Hardcover book. I originally got the wii version , but it just made me want the PC one. 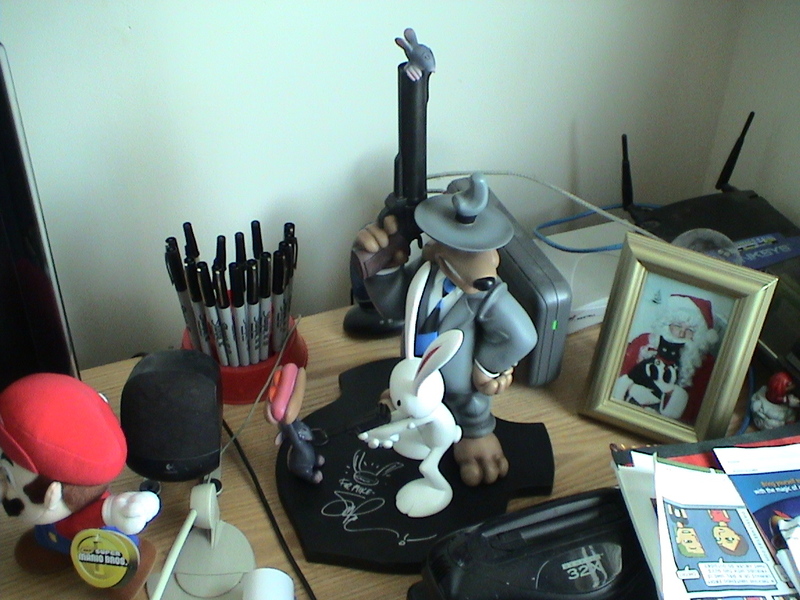 Although I still have my original Sam and Max hit the road game from when it was released. I know I have the manual and I think I have the box it came in. 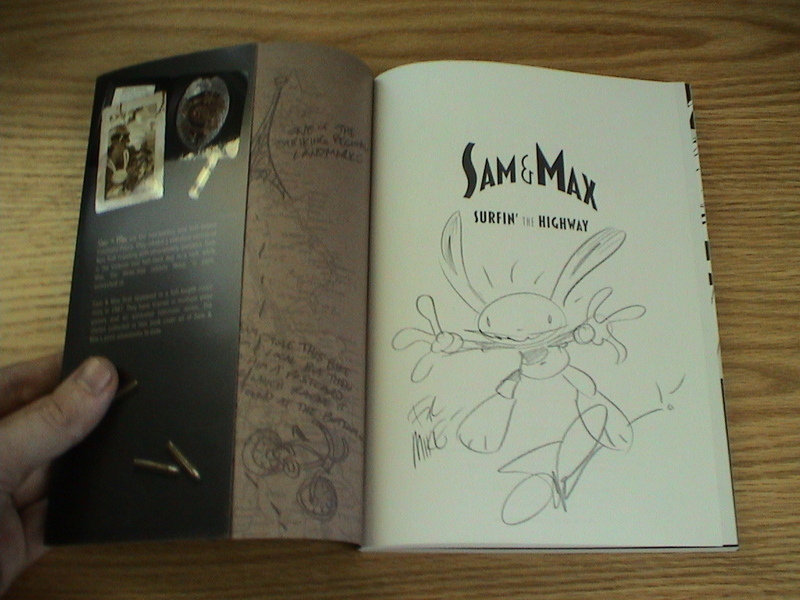 I felt inspired to compile this list after thinking back on all of the stuff that I have had Steve Purcell sign thus far. 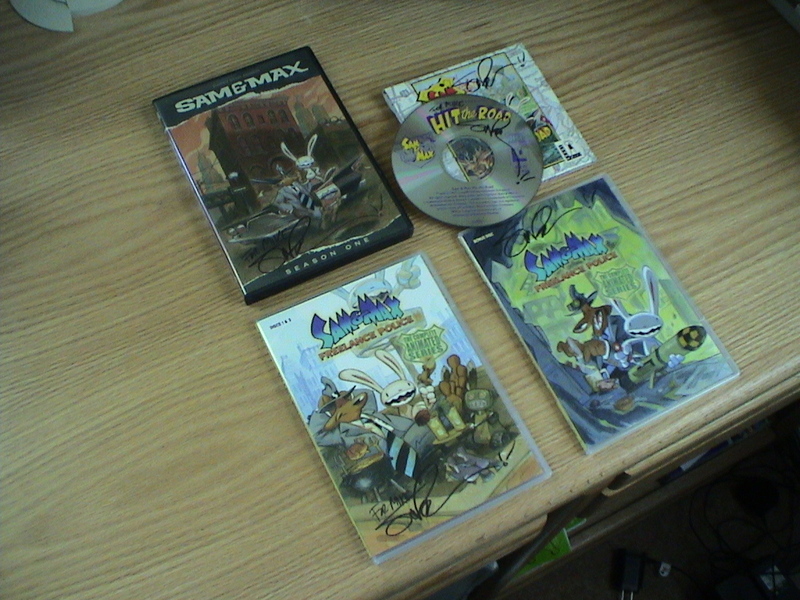 how did you manage to have all this stuff signed? did you meet him several times or did you carry that whole pile to him all at once? 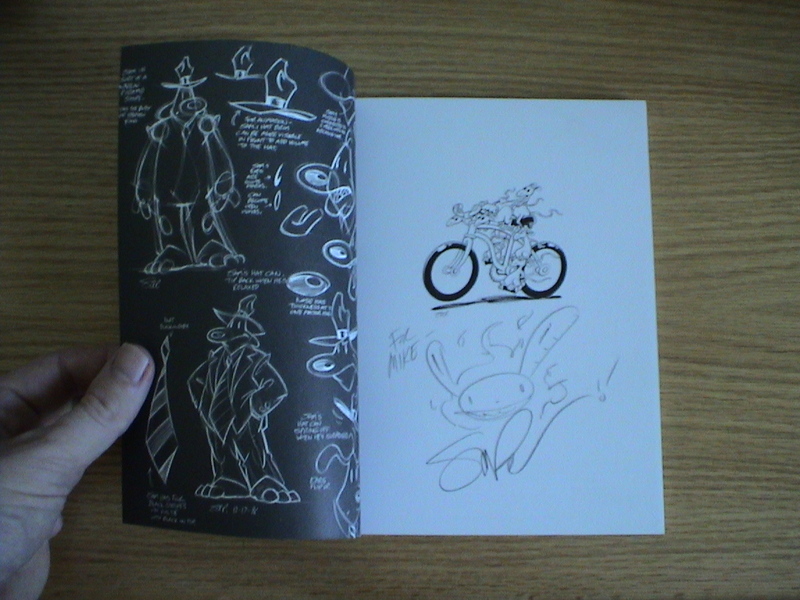 both versions of the new "surfin' the highway"
Actually, I have met up with Steve Purcell on several occasions at San Diego Comic-Con. Some of those photos were taken last year, and some this year (for my grand old Tales of Comic-Con blog). But yes, I did just want to show off my stuff. all it takes is meeting him..
he once told me to send him anything and he would sign it if i paid postage.. i told him haha funny.. as ,.. well my purcell collection is a bit extensive.. I only have the DVDs and the Max 'n Crossbones t-shirt so far, but it's still definitely one of my favourite shirts! Would love to get a signed copy of Surfin' the Highway, too. Right now, I'm focusing on creating a collection of '90s games, and the second installment on Wii. Wow! My collection isn't that big (yet), but.. still contains valuable stuff. What poster? I pre-ordered it from GameStop and I never got anything except for the game itself. I really want that statue, but I don't really want to spend $75 on it (although I'm sure it's worth it) and I wouldn't have any place to put it. I'm hoping they'll make more in the future. * Surfin the Highway Hardcover Edition #???? And that's it. 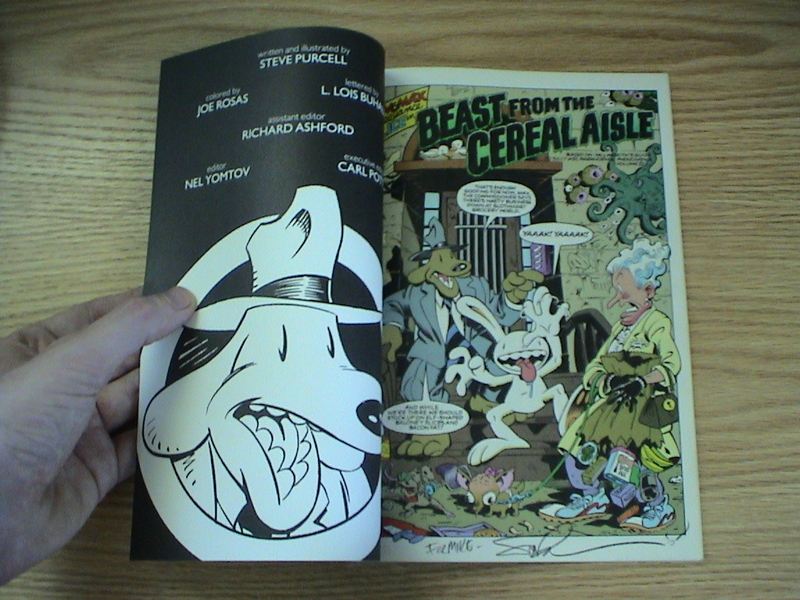 Unfortunately, as I don't live in the USA, I cannot get my stuff signed by Steve Purcell. 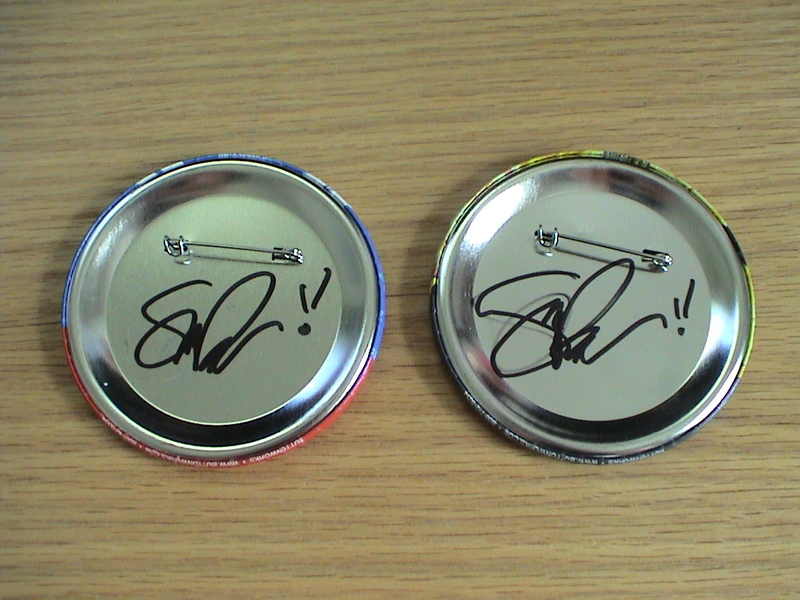 Although it is my ambition to visit a comic con in years to come the Steve will be signing at. My only pre-Telltale bit of merch is my original copy of Hit the Road, which amazingly still works. 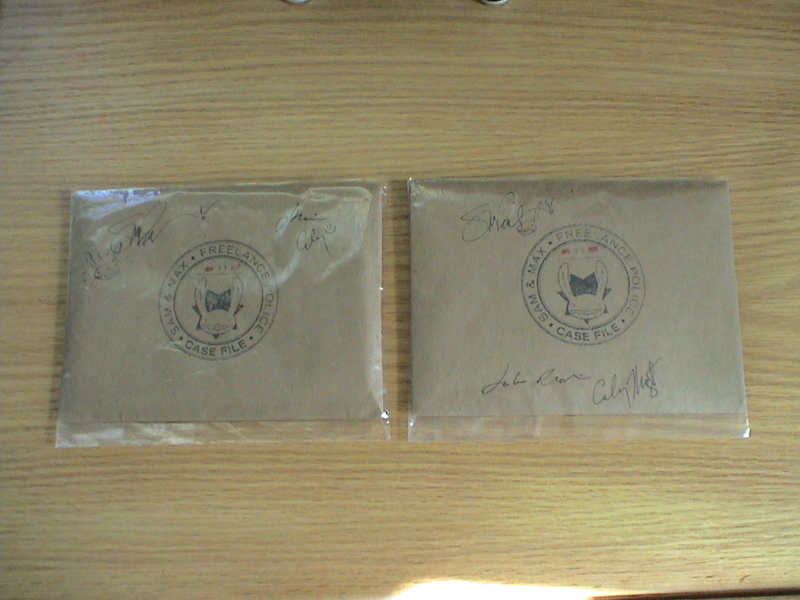 I have both Season DVDs, the case file for both seasons, two Hardcover copies of Surfin' the Highway, one paperback copy of Surfin' the Highway, both soundtracks, a signed print of the Season One cover, and a Max Crossbones hat. Sadly, i only have the season 1 soundtrack, season 1 on wii, and the Surfin' The Highway book. But i still treasure what i have now!! Thank God all your stuff is signed with "To Mike," Mike, or you'd be in serious danger of some extremely envious collector hunting you down...out of curiosity, what's your address? All I've got I pretty much got at once. 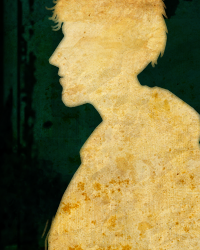 How I LOATHE the past-Timothy who looked at the Season One Case File and said "that seems pointless." I'd be willing to pay at least $35 for it now, if there are any takers on that offer out there. ...and that's all. I'm gonna make room for that statue, though, and hunt down whatever else I can! Uh, yeah, my address is 1600 Pennsylvania Avenue. It is a big white house. You cannot miss it. 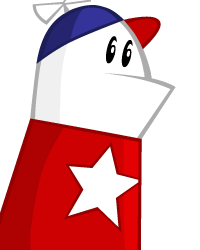 Also, the guards with the guns are actually friendlier than they look. 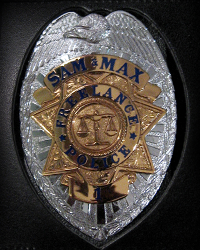 My Season One Case File is easilly worth double that. 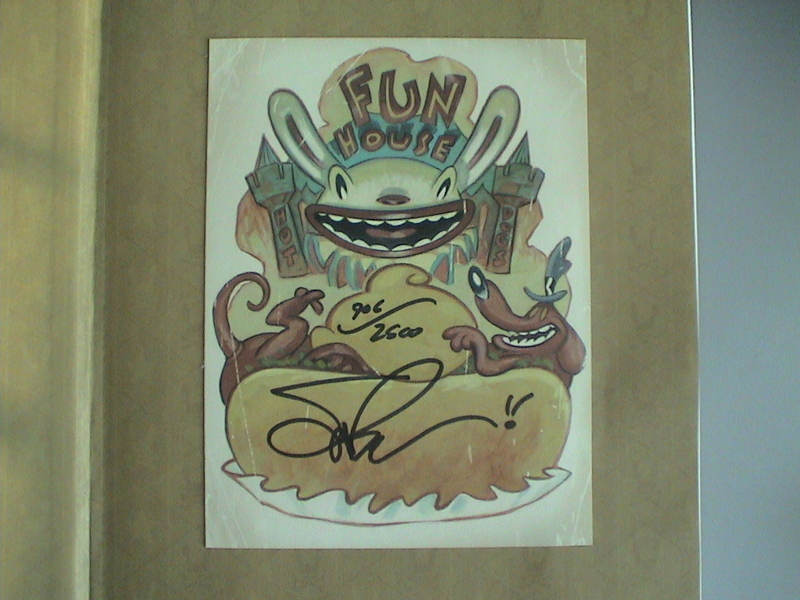 It was signed by Emily Morganti, Jake Rodkin, and Steve Purcell. Not that I would give it up, though. So yeah, pretty much everything offered from that Surfin' the Highway hardback special at the Telltale Store. Curse me for getting into this series so late. I tried this with Comic Con to no avail, but once again, if anybody is going to PAX next week, I would love to pay you to buy and ship me those sketchbooks. I'm desperate to get these, and this sounds like the last time Telltale is making them available for reasonable prices. I've tried e-mailing just about every comic shop in WA but none of them are going because it's more video games than comics. I dunno where else to turn, so PM me if we can work something out! i missed it yet again too... and if i ever go id gladly send you a shipment mate.. I really don't know how, it was my brother who bought the game to me for Christmas, and he got the poster as an extra. (No idea what store). But it seems to be the same 'Highway Surfing' poster that was included with the PC version earlier. My guess is that since some of the first shippings to Europe missed the poster back then, they were giving some away with the Wii release now. But it certainly didn't happen in every store, I'm sure. Yeah, the statue is pretty.. expensive, so can't blame you. I wasn't expecting to get the statue either, due to shipping costages to Finland and all.. but yeah, miracles do happen it seems! an unpainted one .. how? Custom made I would guess? That is cool. Also, my mum is getting me that Effigy Mound for Christmas! Yay! And it shipped yesterday! Yes! Ah, I'm so jealous! Paying almost $100 for just one book is outta the question for me right now. I really wanted it, but it's awesome that you got it. And thanks for feeling awesome for me!